What is the shelf life of your treats? I want to sell dog treats for retail and need recipes that will have a shelf life of at least 6 months. Also, I am from Canada and cannot find yogurt chips here. I can only find Merckens chocolate colored wafers. Would you suggest these are ok to use? Shelf life depends on a few factors. Moisture and fat content are the two main things that will make a treat go bad. Preservatives are often used to address these issues. Moisture causes mold growth and the environment also plays a factor here. A hot, humid environment will cause mold far before a dry, cooler climate will. So if you plan to sell in a grooming shop for example where there is a lot of moisture, expect moldy conditions. Mold is addressed best by using ascorbic acid (a natural preservative)or a mold inhibitor in your mix. The second thing that can make your treats go bad is fat. Fat, (oil, butter, shortening) can go rancid. That is addressed by adding a preservative (I recommend a natural preservative, an antioxidant made with rosemary oil). None of these will make your treats last forever but they will help. Be sure to make your treats as DRY as possible. Many people even dehydrate them to be sure. As for chocolate, don't use it. Avoid brown chocolate always as it is dangerous for dogs in certain quantities (see "dogs and chocolate" on this site). There are also colored coating chips that are made by Merckens and Clausen that do not contain any chocolate. Also, there are carob and yogurt chips available (hard to find) that are safe for dogs. Please see what is written on this site about these coating chips. These chips are made from sugar and fat and are not very healthy (even the yogurt and carob ones are really sugar and fat). They also melt easily and are difficult to use. I get many complaints about these chips melting on finished products. I highly encourage the Fido's Frosting products which appears to be quickly becoming the industry standard. Magifrost is dairy-free dog treat icing powder. It has no fat or sugar, can be colored to make any color you want, is very easy to use and does not melt. Just make sure you do not use it on a very smooth treat. It needs something to hold onto so poke your treats with a fork to create lots of divots before baking and you will be fine. The only place you can get Fido's Frosting is at K9Cakery.com, where you can also get preservatives. It is sold by K9Cakery.com and you can also get preservatives. 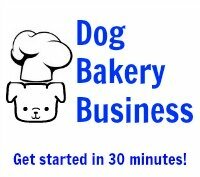 It is the only true dog bakery supply shop I know of, and worldwide shipping is available. I too am looking for yogurt chips. I stopped at the bulk barn yesterday and they told me they only come out at Christmas. I too am from Canada. Answer: Yogurt chips are hard to find. 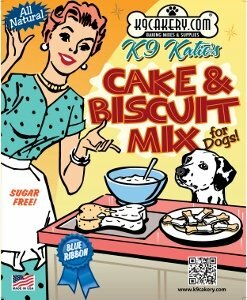 You can always try a store that sells dog bakery supplies like K9Cakery.com. We do not like to encourage the use of yogurt chips because they mainly contain sugar and fat which would not make for healthy dog treats. And, because of the high fat content, warm temperatures will cause melting.